The United States Department of Health and Human Services has released two landmark publications, Physical Activity and Health: A Report of the Surgeon General and 2008 Physical Activity Guidelines for Americans. Both of these publications emphasize that physical activity and physical fitness are strongly related to the reduction of risks of morbidity and mortality for a variety of chronic diseases, including heart disease, stroke, diabetes, some types of cancer, osteoporosis, and mental illness. Physical activity and fitness also have a positive effect on mental processes and cognitive function, which are particularly important for students. The Surgeon General’s report calls for effective instructional courses in physical education at colleges and universities to encourage young adults to be physically active and develop a lifestyle that includes regular (daily) physical activity. 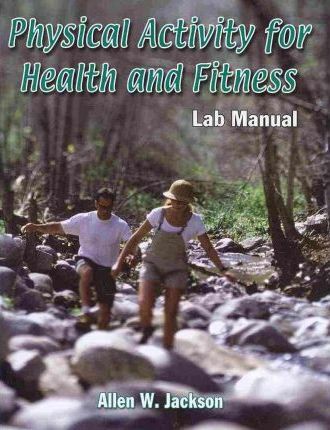 You are taking a course in a lecture and laboratory format to help you learn the following concepts and skills: Health-related benefits of physical activity and physical fitnessBasics of exercise physiology, anatomy, psychology, biomechanics, and epidemiology that are necessary for understanding the health-related benefits of physical activity and fitnessDiscerning appropriate Internet sources of information about health and fitnessThe 11 laboratory activities help you apply your cognitive learning to real life and allow you to understand your personal attitudes toward physical activity, physical fitness, nutrition, risks for chronic disease, and facets of your mental health. Each lab experience includes some hands-on activities that will be completed in your laboratory class or as homework, and online assignments bring you into contact with appropriate scientifically based health information.